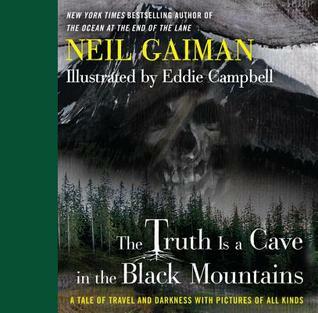 In Neil Gaiman’s, The Truth is a Cave in the Black Mountains, two men journey to a cave located on a mysterious island in the Scotland. The cave is said to grant gold to anyone who can find its location. But in return, visitors have to give something up. . . I hesitate to call this work a book. 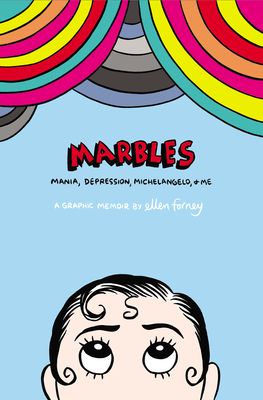 It’s more like an illustrated short story in graphic format. 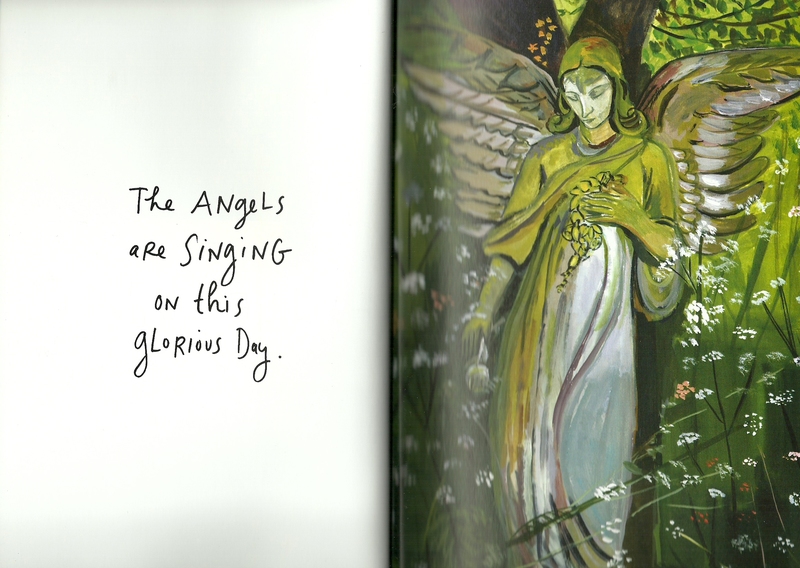 Gaiman collaborated with artist, Eddie Campbell, and the result is a dark tale. In reviews that I’ve read about The Truth is a Cave, some readers have found themselves a little thrown back by the style of this book. There’s art on every page, and sometimes the art is used to illustrate while other times it’s part of the story itself. At times, the art felt like a perfect match for the story, though it can seem like a distraction. I think it had to do with the different styles used by Campbell. Overall, this was an engaging read. After I read it once, I had to reread it again. For those looking for a short and creepy read for the R.I.P. Challenge, I would recommend this tale. My rating: 4 out of 5 stars. I can forgive myself for many things. For where I left him. For what I did. But I will not forgive myself for the year that I hated my daughter, when I believed her to have run away, perhaps to the city. During that year I forbade her name to be mentioned, and if her name entered my prayers when I prayed, it was to ask that she would one day learn the meaning of what she had done, of the dishonor that she had brought to my family, of the red that ringed her mother’s eyes. I hate myself for that, and nothing will ease that, not even what happened that night, on the side of the mountain. 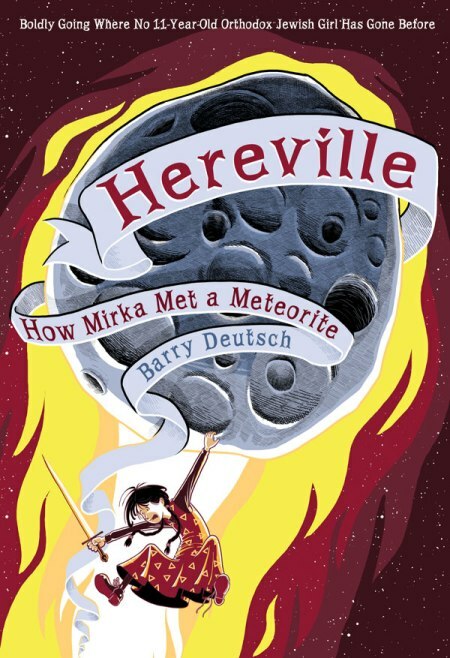 . .
Mirka is at it again in Barry Deutsch’s latest Hereville book, How Mirka Met a Meteorite. In the first book, Mirka wants to fight a dragon. But after many twists and turns, including a duel with a troll, it didn’t happen. Now she just wishes that she had a villain to fight. When a troll sends a meteorite to the witch’s house, Mirka saves the day (and Hereville) by warning the witch just in time. Unfortunately, the witch transformed the meteorite into Mirka’s double. The new Mirka is faster and better at just about everything than Mirka. Sharing Mirka’s life isn’t good enough. One of them has to go. Will it be Mirka? Mirka is definitely one of my favorite middle grade characters. 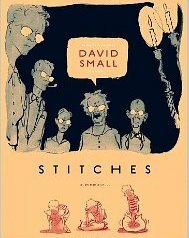 In case you haven’t read the first book, Hereville is a village of Orthodox Jews. Readers see Mirka and her family celebrating the Sabbath, find out rules about non-relatives touching, and more in a way that never bogs down the story but enlightens it. Hereville fills a space in literature. Before reading the first book, I don’t think I’ve ever read a book with an Orthodox Jewish girl as the main character especially not in a graphic novel. The emphasis is never on the religion but on Mirka. She’s an average girl who dreams of being of hero and doesn’t find it out of the ordinary when she finds herself talking to trolls, fighting a talking pig, or seeing magic performed by the witch who lives on the outskirts of the village. In her view, anything is better than learning how to knit. Sometimes when you read a fantastic first book in a series, you often wonder how the next book will stand up. 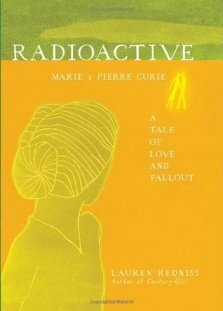 How Mirka Met a Meteorite was just as good as the first book though I do have to say that I miss the talking pig. The book starts out with Mirka still being grounded after her last adventure with the troll. After getting off of punishment, Mirka’s stepmother Fruma tells her that whenever she needs to make a decision, she should imagine the person that she wants to become and ask “what would that person do?”. That advice is one of the reasons why I really love the Fruma character. She’s one of the many strong and opinionated female characters in the book. Since I had an advance reading copy, the artwork and coloring wasn’t finished but it didn’t take away at all from the story. The story stands on its own. Not every graphic novel can say that. How Mirka Met a Meteorite is a fantastic book with a spunky protagonist. I waited a year for this book. I hope the next story in the series comes out soon. My rating: 4 out of 5 stars. 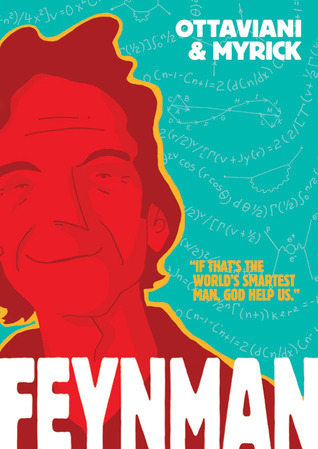 You can find a preview of the book on the author’s site here. If you’re still unsure about the series, you can find my review of the first book here. An intergalactic war has been going on for longer than anyone can remember between the people of Landfall and the inhabitants of Landfall’s moon, Wreath. The war between the two lands is no longer contained and has reached the rest of the galaxy. It doesn’t matter if a planet doesn’t want to be a part of the war; choose a side or it will be chosen for you. Marko and Alana are soldiers on opposing sides who want nothing more to do with the war. Their story would probably end there if it wasn’t for the fact that they’re also lovers. Now the governments of both planets want them dead and their relationship to remain a secret. With their newborn daughter, the couple try to race to safety while encountering soldiers from both sides and freelance assassins. Will their efforts be enough to keep their daughter safe? What a ride! I didn’t know what to expect when I picked this up. 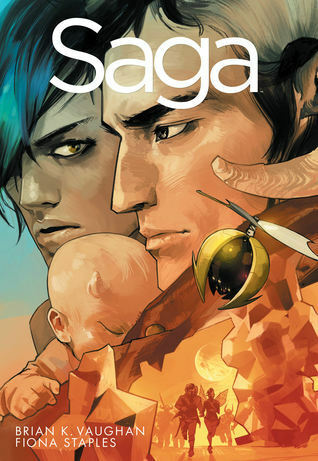 Honestly, I decided to read Saga because of the beautiful cover. I’ve heard of the author, Brian K. Vaughan, before since I’ve read the first volume of his other series, Y: The Last Man, and it’s also a favorite among book bloggers I’ve talked to. Marko and Alana are such a fun couple to read about. When readers meet them, Alana is giving birth to their daughter in the back of an auto body shop as Marko urges her on. Alana is really sarcastic and ready to shoot anyone who comes around while Marko tries his best to honor his promise to himself, never to lift his sword against another person. Throughout the book, readers learn how the couple met and a little bit about why they’ve decided not to fight in the war through the people who’ve been hired or commanded to hunt them down. We also see the dynamics of their relationship from their encounters with soldiers and ghosts. Vaughan and Staples do an amazing job with the world-building. The inhabitants of Wreath all have horns of some type and magical abilities while the people of Landfall have wings. There are people who look like half-human and half-spiders, along with some who have televisions for heads. This galaxy is intertwined in this war and you see it. There’s something different and special about all the worlds that are come across in this first volume that makes readers want to know what happens next. 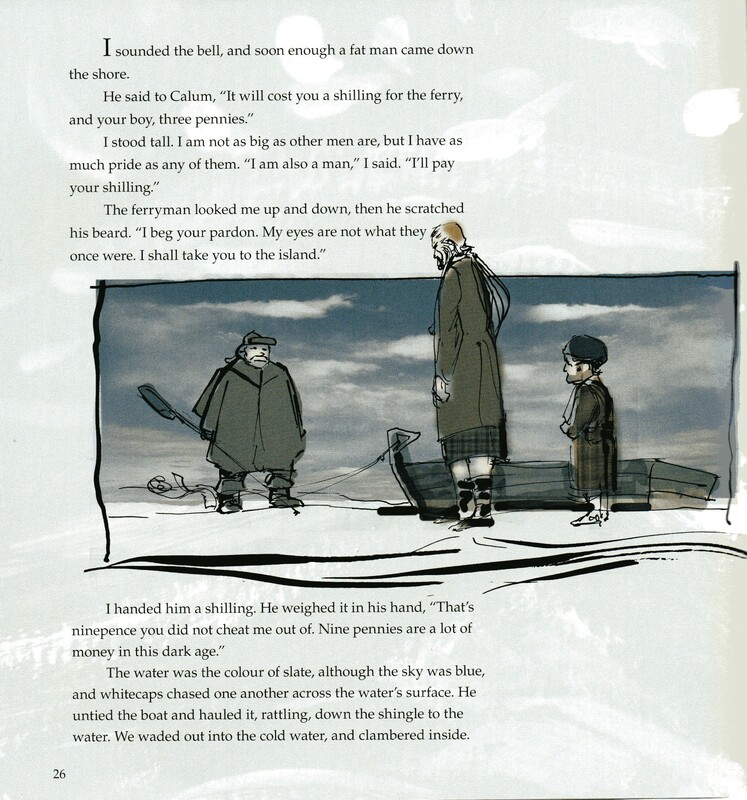 The illustrations were gritty but nice to look at plus they help to keep the story moving along. The one thing I didn’t like was that the story is too short! I wouldn’t have cared if the first volume of this new series was 300 pages long. Overall, this new series is too good to miss. My rating: 5 out of 5 stars. Gloria “Glory” Fleming is a world-famous pianist, who sells out concert halls all over the world. She’s also only seventeen. Her days are filled with practice as demanded by her father, Victor. It’s all she knows until Francisco Mendoza moves in next door. Now Glory’s world is filled with not only music but art, late-night movies, and text messages. She’s finally becoming a normal teenager. After a while, Glory falters because of her father’s demands and is unable to play anything but the song “Chopsticks”. Everything is not what it seems and when Glory disappears, it’s time for everyone –Victor and readers – to figure out what really happened in Glory’s life. I picked up Chopsticks because I heard a lot of positive things about it on Twitter. The bloggers, who have read it, didn’t say much about it except that more people should read it. After reading this book, I understand so I won’t tell you much about the plot. Chopsticks is a love story but also a mystery. The mystery isn’t easy to solve, which I love, so you’ll probably have to read it twice. But it is a fast read. If you’re a reader who shies away from YA because of melodramatic teenage angst, there’s none of that in this book. Readers of all ages can enjoy. Jessica Anthony and Rodrigo Corral give this unusual teenage story a great format. It’s told through not only words but also postcards, text messages, newspaper articles, piano recital programs, and more. The format reminds me a lot of The Scrapbook of Frankie Pratt. I was left wondering what kind of novel I should call this. 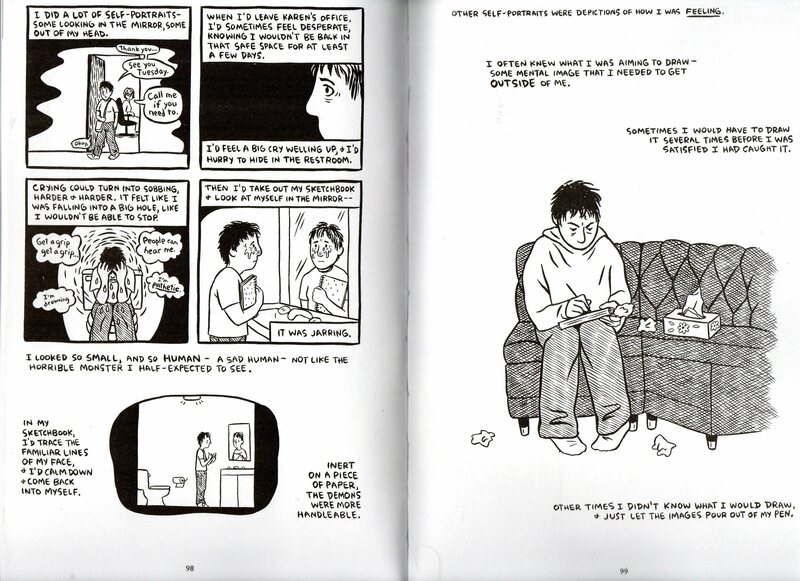 Is it right to call it a graphic novel? I called Frankie Pratt a “scrapbook novel” but Chopsticks doesn’t fit that description. 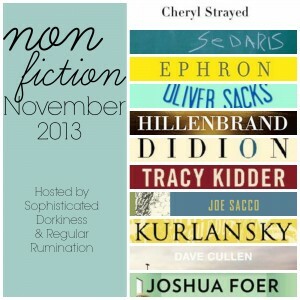 Maybe it should be called a “novel in collage”? Either way, I would love to see the authors write more novels in this new format. 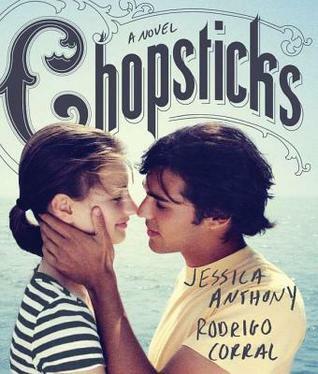 If you’re looking for a great read in a unusual format, Chopsticks is your book. My rating: 4 out of 5. 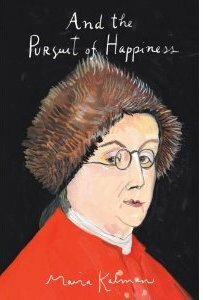 And the Pursuit of Happiness is Maira Kalman’s beautiful year-long exploration into democracy in America. Divided into months, the book starts out in the month of January with President Obama’s inauguration and ends in December with George Washington and the question of happiness and its pursuit. In-between, the author interviews Supreme Court Justice Ruth Ginsberg, falls in love with Abraham Lincoln, and watches a town hall meeting in Vermont. 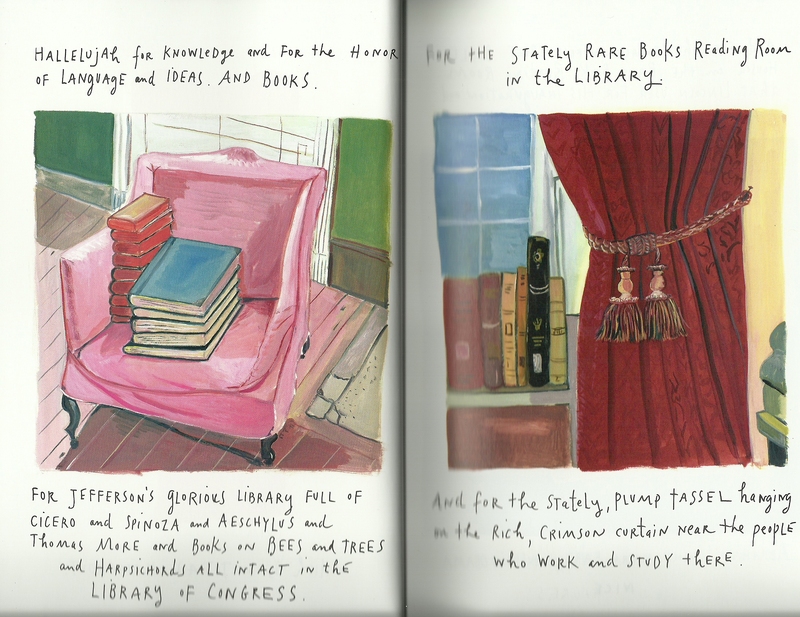 Kalman, being the wonderful artist that she is, has illustrated virtually every page in the book. Isn’t that gorgeous? 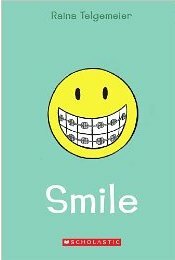 What I really like about this book is its spirit. Nowadays when you watch the news there’s so much pessimism and negativity when it comes to politics in this country. And the Pursuit of Happiness is so far from that. Kalman is optimistic about this country which is so refreshing. Though the book is more than four hundred pages long, it can easily be read in one setting. Once you do finish it, you’ll want to go back and read it again. This is one of the best books I’ve read this year. Highly recommended.